I believe I am a work in progress. I believe there is more to me than my size. I believe the only thing holding me back is me. I believe I am the author of my own life, and of my own story. I believe I already have everything I need to create the life I want. I believe we have the choice, everyday, to make someone's day or to break it. I believe you already have everything you need to create the life you want. I believe you are the author of your own life, and of your own story. I believe the only thing holding you back is you. I believe there is more to you than your size. I believe you are a work in progress. I believe there is #More2Wellness than weight, #More2Fertility than mechanics, #More2Success than a college degree, and I believe there is #More2YourStory that deserves to be told. I believe I can help you live your best life, improve your odds of adding to your family, make real estate investments that enhance your life, and tell your best stories today, wherever you are. Work with me. KIM JORGENSEN GANE is every woman, every mom, every writer. After many Erica Kane worthy iterations, she is firmly rooted in her hometown, content with writing, selling real estate, and she is a two-time PechaKucha St. Joseph/Benton Harbor presenter. She is wife to a taco truck owning photographer, aunt to a trombone, baseball, and video game playing live-in nephew, and mom/stepmom to a mine, a his (two grown, married daughters) and an ours: a middle grade, cello playing, dragon-obsessed boy and his furry brothers—two standard poodles that follow her everywhere. 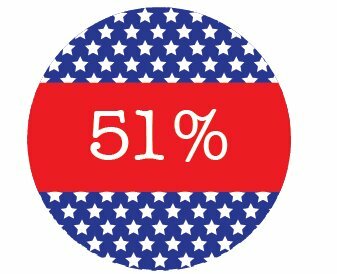 Just before the 2016 election, when everything seemed possible, Kim became a contributing author with an essay published in the book 51%: Women and the Future of Politics. To purchase a signed copy of the book, email kjgane(at)ganepossible(dot)com. Or you can purchase through womenandpolitics.us. Although she didn't make it past the primary, Kim ran for St. Joseph City Commission. She believes that politics should feel accessible to everyone, and she has since been elected chair of the Berrien County Democratic Women. Because when women prosper, when the autonomy, liberty, and sovereignty of ALL women—all humans—is a foundational principle, our families prosper. And she believes to the depths of her soul that our country will prosper, and be safer, too. Kim writes on a variety of topics including parenting through midlife crisis, infertility, health and wellness, personal empowerment, politics, real estate and life in southwest Michigan, and anything else that interests her, including flash fiction and her books in progress. They include narrative nonfiction, Mother Feminist: Raising Ourselves and the Men We Fall For, and a novel in progress, Bluebirds. 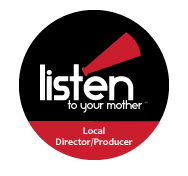 Kim is a passionate advocate and speaker for Planned Parenthood, as well as a past producer/director for Listen to Your Mother, two pieces of womanhood that can't be divided or distilled into something so simple as choice.